A party who with explicit reservation of rights performs or promises performance or assents to performance in a manner demanded or offered by the other party does not thereby prejudice the rights reserved. Such words as “without prejudice”, “under protest” or the like are sufficient. It is important to understand that this gives you a procedural safeguard; it does not guarantee that you will win. 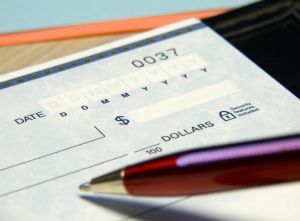 It allows you to keep whatever rights you had before you sign the check. It does not give you new rights to the money; it just means that you will have as much of a chance to collect payment in full, after you cash the check for the partial payment as you had before you cashed it. The customer may still have a defense against your claims to what you consider to be payment in full. You still will have to establish the full amount you are entitled to. The bottom line, however, is that you will be able to keep the partial payment and your rights, too; and that’s not a bad thing.